Percy was born on 22 March 1898 to George William Hooley and Sarah Ann (nee Nield), in Wincle. 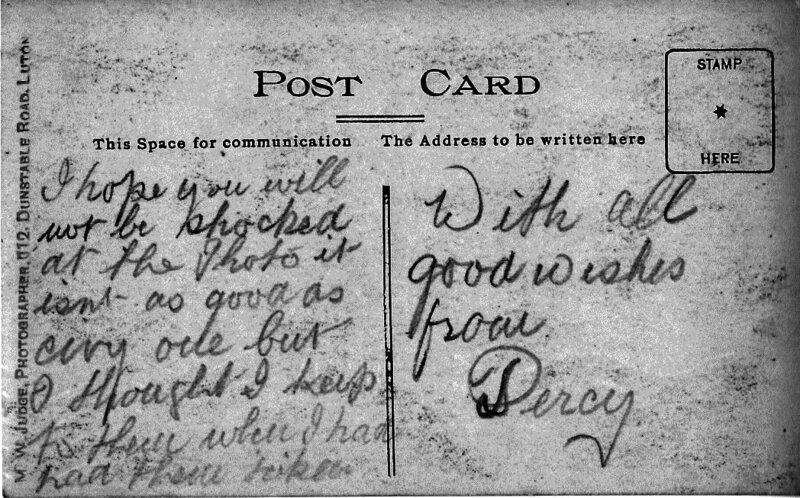 They lived at Midgley Farm with Percy's sister May. In 1911 he was still at school but would no doubt have started work on the farm a year or two later. 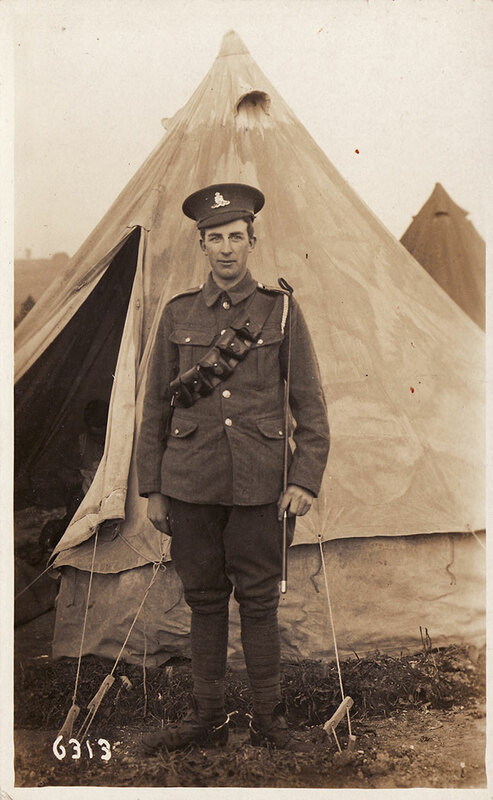 Percy was probably conscripted early in 1917 as by that time men of 18 years and 7 months old were required to serve in the armed forces. Later that year, on 7 July, his name was brought before the Cheshire War Agricultural Committee in an attempt to gain exemption from military service. 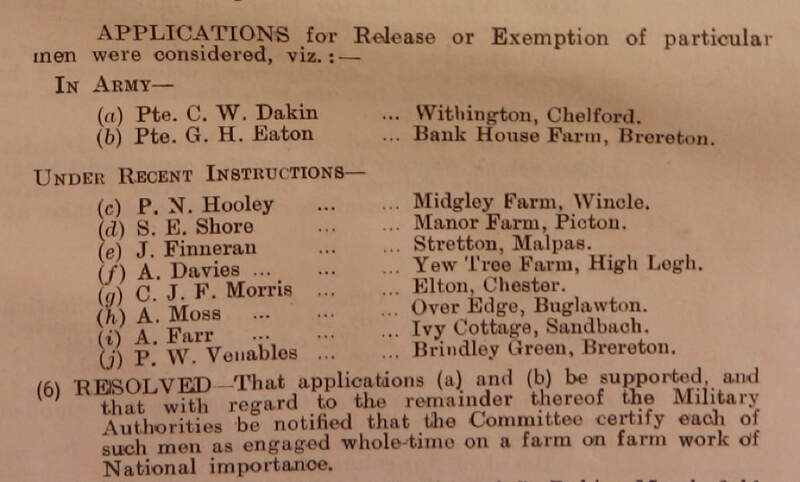 But by that time he was already ‘under instruction’ and his request was not granted, despite the Committee lending its support to his case, as he was deemed to be ‘engaged whole-time on farm work of National importance.’ It would seem the Military, having got their hands on him already, overruled the Committee and he was sent to serve in France as a gunner in the Royal Field Artillery with regimental no. 229564. A second attempt to release him from the army was made on 8 Feb 1918 but no action was taken. Unfortunately we have not been able to find out any other details of his military service. 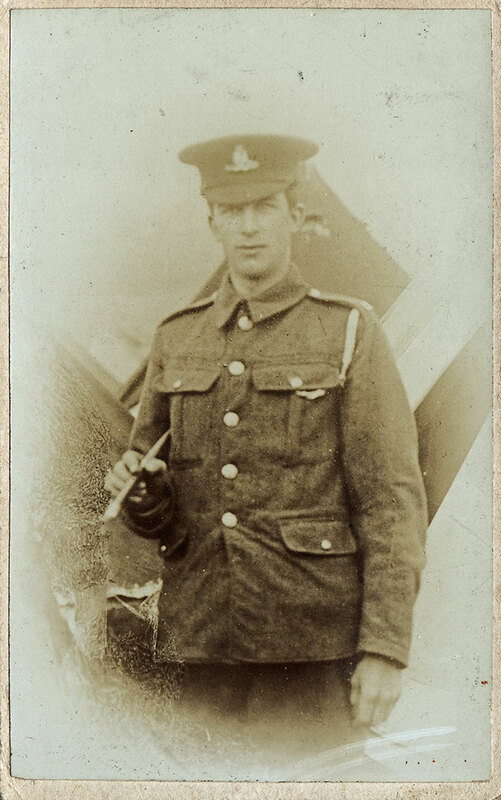 He finished the war in the army and was awarded the Victory Medal and the British War Medal. After the war he married Martha Barber and continued farming at Midgley for many years. They had one daughter, Beryl. Percy acted as an Air Raid Warden in WW2. Percy died on 8th December 1965 in Sutton.